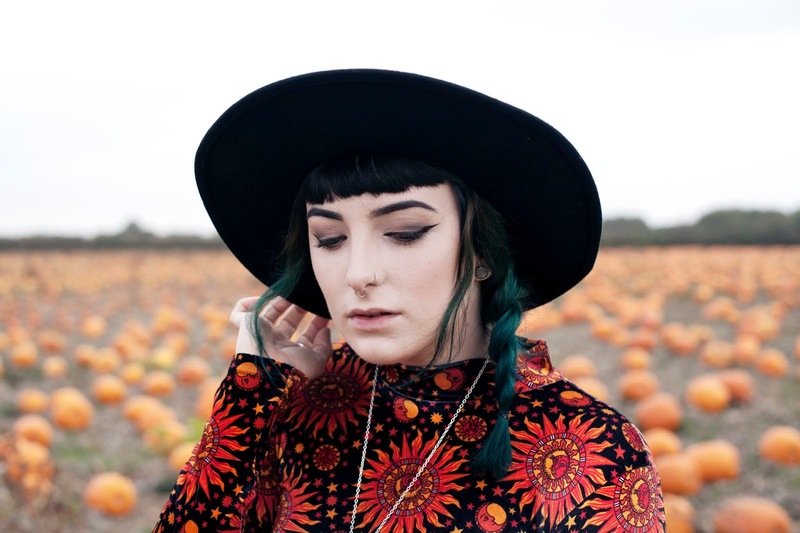 I love autumn and what better way to spend it than to go pumpkin picking!? 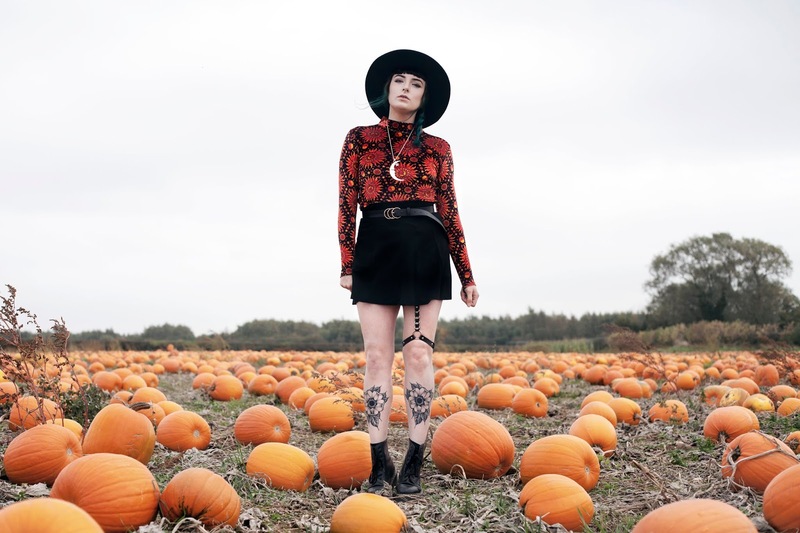 I've wanted to do a shoot in a pumpkin patch for quite a while now, and this year I've finally got around to doing it. We ended up going to Cattows Farm which is based in the village of Heather in Leicestershire. 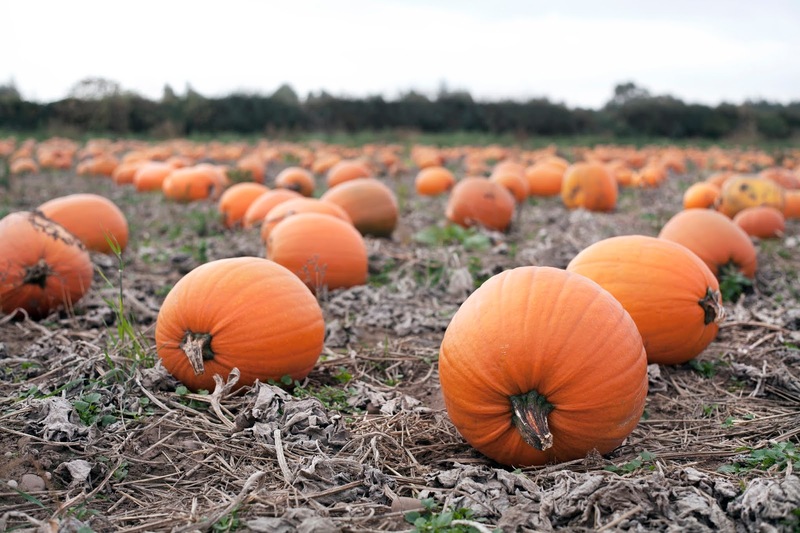 Other than being able to pick your own pumpkins, which are such great value, there is also a really cute farm shop and tea room full of fresh produce. It's a really nice day out, I would highly recommend it. When it came to choosing an outfit to wear for this shoot I had the perfect top in mind and shock horror, it wasn't black! I brought this Motel Rocks top a few years ago and have never really worn it that much and I'm not really sure why because it is gorgeous. 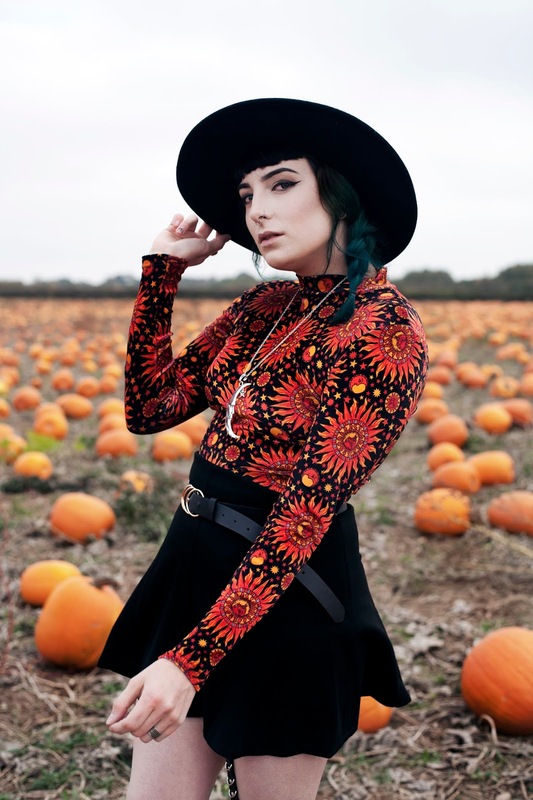 Unfortunately they don't actually sell this top any more but they still do the print which is called 'Hot Sun' in a few different garments. I paired this top with this really cute skater skirt I recently found in Primark for £8. 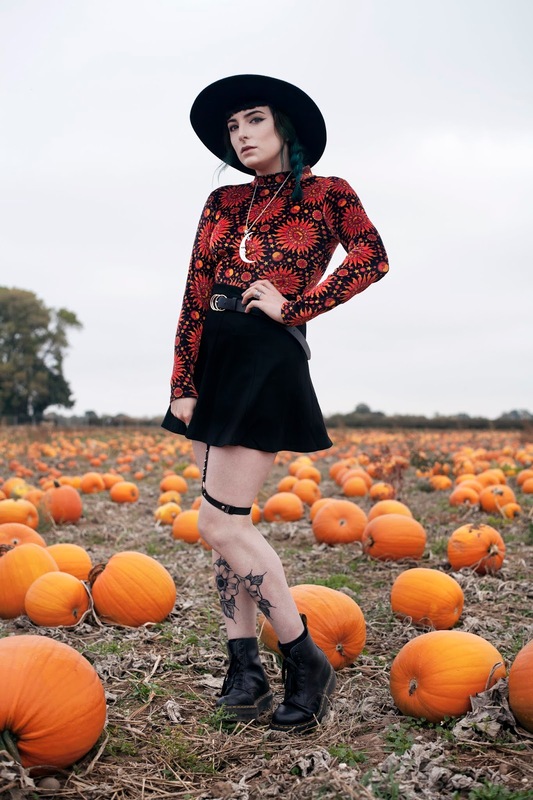 I love how witchy the skirt looks, even more so when I pair it with my wide brimmed hat. It seemed quite fitting for the location. I then finished the look off with my Dr Martens and a few of my favourite accessories. 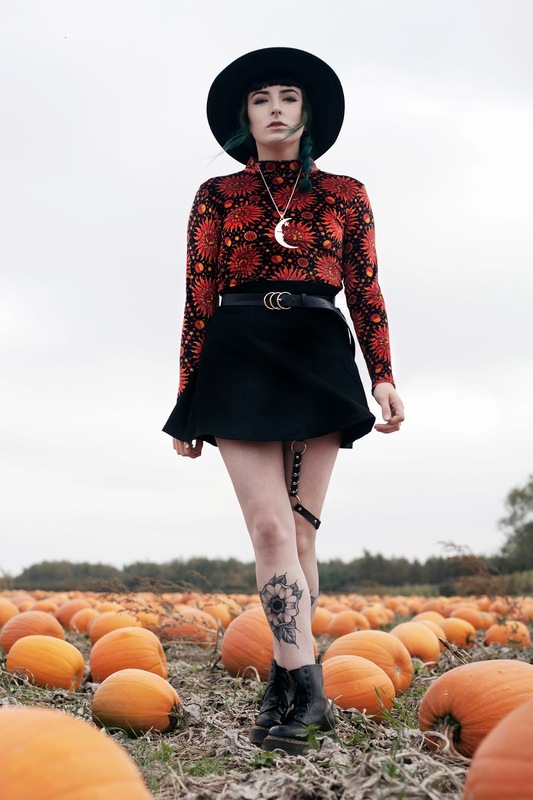 I absolutely love this outfit and it works so well with the location, it really is the perfect autumnal backdrop. 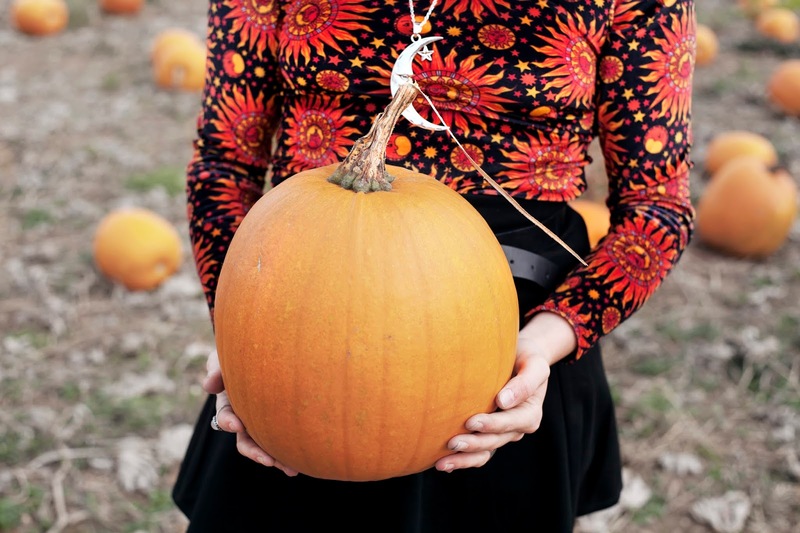 I hope you enjoyed this post and hopefully its inspired you to go pumpkin picking this year! 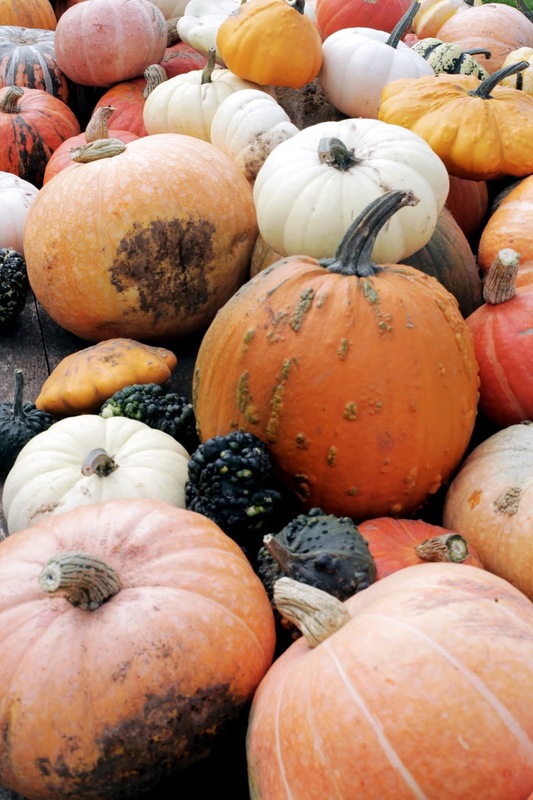 I can't wait to get carving the pumpkins I've picked, I'll be sharing them here on my blog (if I don't mess them up!) so keep your eyes peeled. Love this, the photography and outfit is awesome!